THANK-YOU for your interest in Chumbi Bush House. 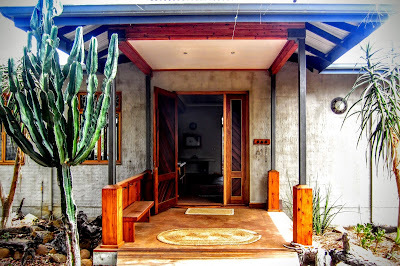 Chumbi Bush House is the most beautiful comfortable bush home, done out with gorgeous wood-work and marble finishes. Kilim carpets in their bright colours are scattered throughout the home. A Self-catering Private holiday home set within a private nature reserve, with bush as far as the eye can see. Within an easy drive proximity to: Hluhluwe National Park, Sodwana Bay and False Bay within the St Lucia World Heritage site. This comfortable Home allows the visitor the opportunity to experience nature and wildlife at its pristine best from a deck chair on the veranda. 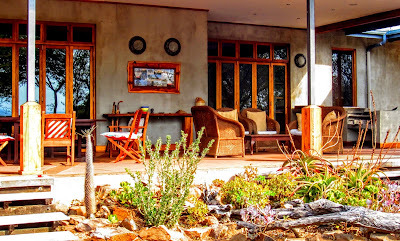 A wonderful place to just relax, or go for walks on the greater Kuleni Game Reserve. Or explore the Game reserves and activities in the area. The greater Farm is home to Nyala, Impala, giraffe, reedbuck, red & common duiker, suni, Zebra, warthog, monkeys and others. There is an abundance wildlife and exquisite bird-life for the avid birdwatchers. Accommodating 7 people, in 3 Bedrooms offering complete privacy. It has a fully equipped kitchen for self-catering as well as a beautiful patio braai (bbq) area. Based on reviews of establishments, Chumbi Bush House has been voted Best Establishment in Hluhluwe for 2015. 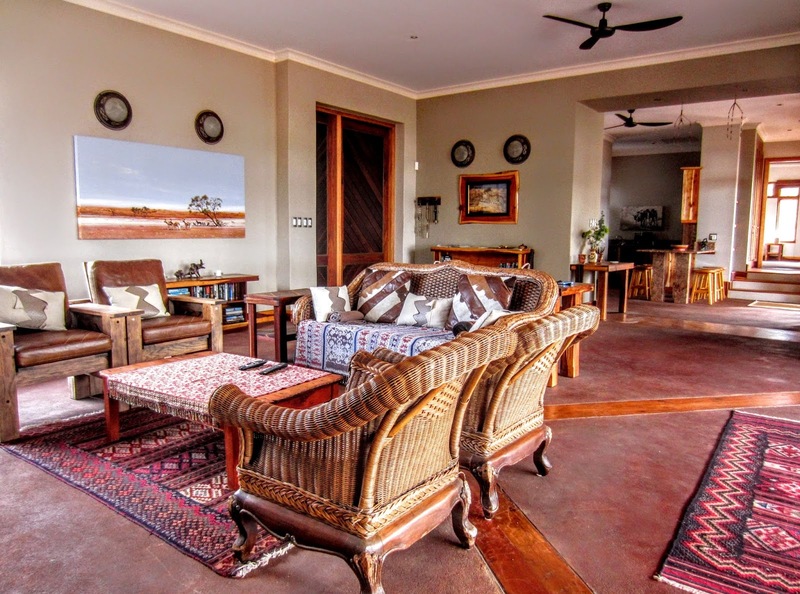 Based on reviews of establishments, Chumbi Bush House has been voted Best Value for Money in Hluhluwe for 2015.